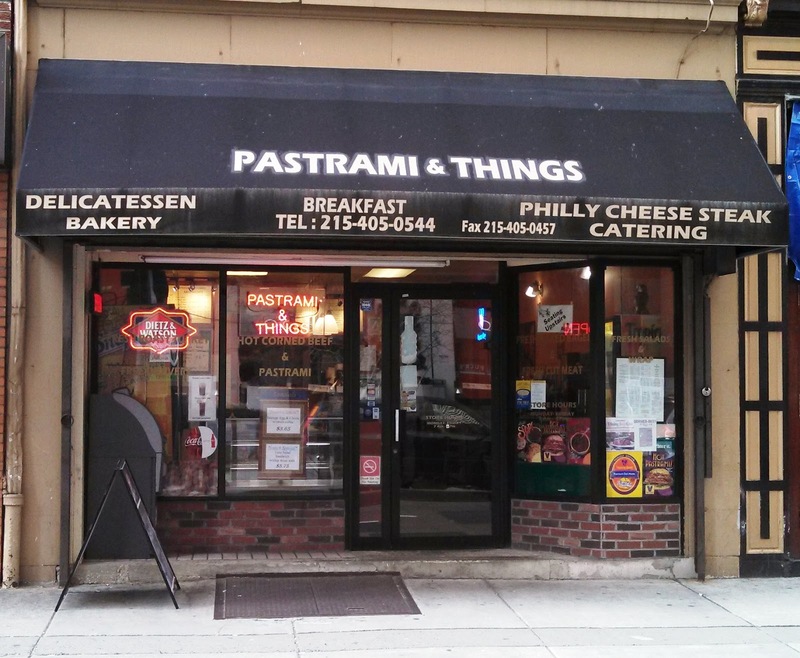 I have walked past SK Pastrami & Things, a deli on 18th Street between Market and Chestnut, countless times and never once thought about entering. 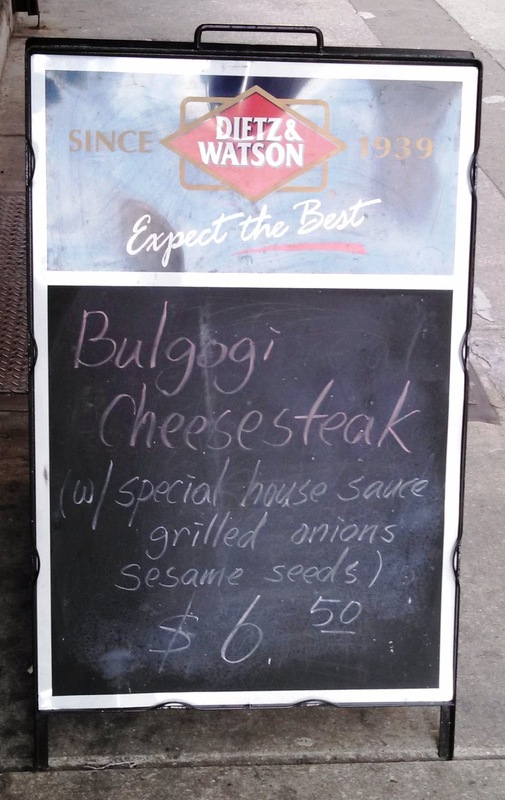 But my interest was piqued several weeks ago upon seeing a sign outside advertising a bulgogi cheesesteak. Memories of the Koja Truck’s bulgoki sandwich left my mouth watering so I went back one weekend to try it. 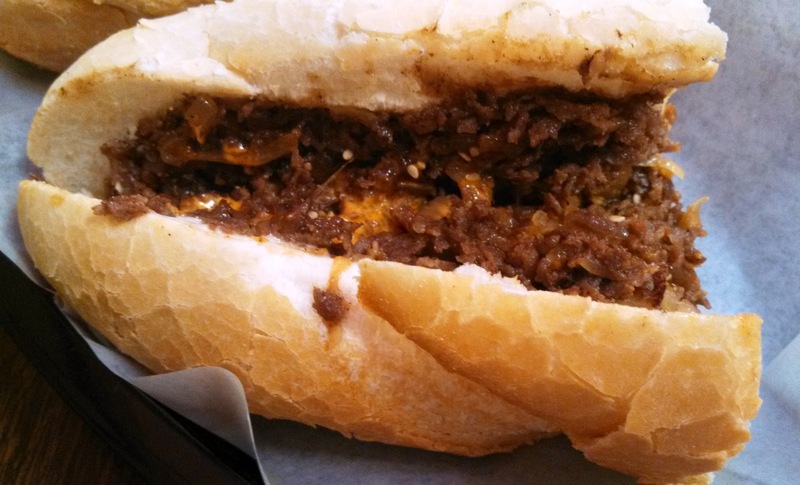 Verdict: while Koja still takes leads the Sandwich Quest category, the bulgogi cheesesteak at SK is a darn good sandwich worth stopping in to try. The finely chopped bulgogi meat comes with their spicy house special sauce, grilled onions and sesame seeds. The spice was just about right although Koja’s offers a bit more kick to the get the forehead sweat going. The roll was average yet slightly toasted to give a nice airy crunch with each bite. My one complaint would be the amount of meat for the price. SK had less meat than Koja despite being more than twice the price at $6.50 (Koja is $3). 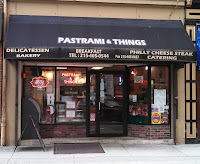 The pleasant owner suggested that I come back to try the corned beef, which she hinted was their real specialty. Has anyone tried it? It will be difficult for me to pass up the bulgogi sandwich if I go back, but if someone else out there insists, I'll do it. The menu also indicates that SK bakes its own bagels. They looked pretty good in the store so I'm also curious if anyone has an opinion on them to share. 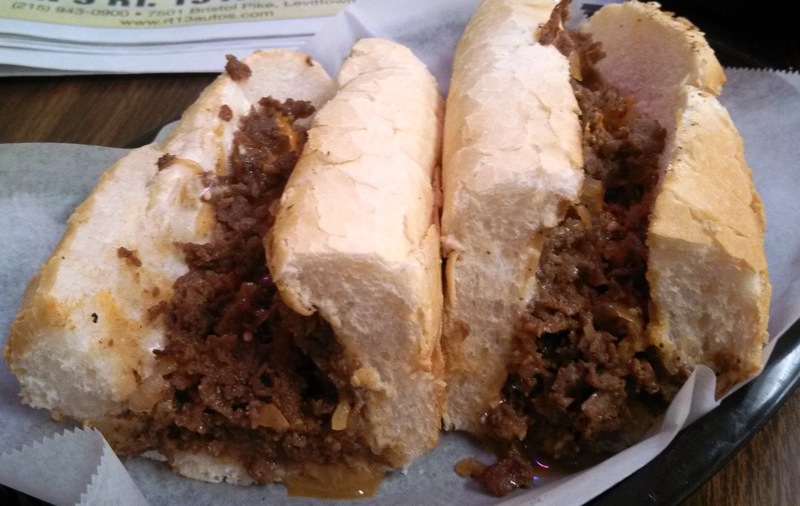 The bulgogi sandwich is quickly becoming a favorite "alternative cheesesteak" of mine. I hope to see them at more Asian delis, food trucks and other sandwich shops in Philadelphia.